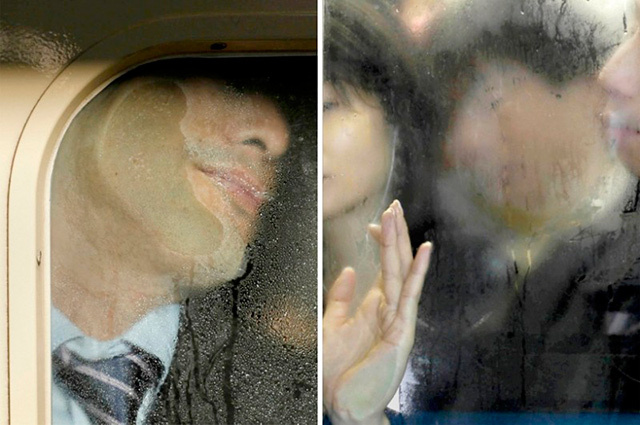 Michael Wolf’s “Tokyo Compression” photo project tells the story of life in the subway system of the world’s largest metropolis. Every day, hundreds of thousands of residents of the 13-million-Tokyo descend into the subway to get to work, and then back home. Every day, passengers are forced to plunge into an incredible crush. According to the Japan Today newspaper, cars designed to hold 160 passengers commonly carry twice that number during rush hours. 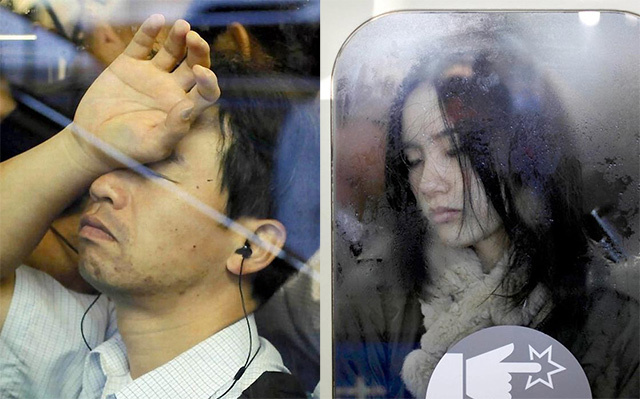 Photos from the Tokyo Compression series feature portraits of subway passengers who managed to squeeze into the subway car in Tokyo during rush hours. Unlike fellow photographers who have at various times tried to convey the bustle of the subway, capturing graffiti, parts of cars, interiors of stations or communication of fellow travellers, Wolf drew attention to the silent loneliness of the citizens. 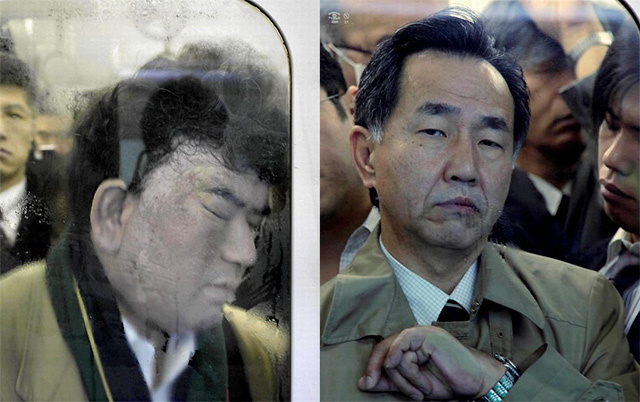 For 20 days, every morning from 7:30 till 9:45, Wolf went to one of Tokyo’s subway stations shooting portraits of people on their way to work. Wolf not only watched the passengers through the misted glass of the subway cars. 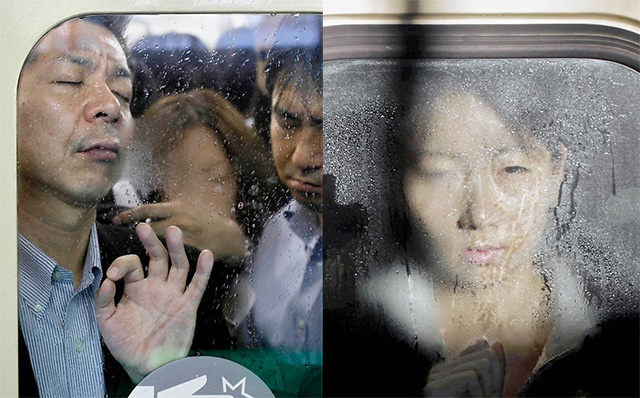 The camera captured faces of people squeezed into horribly cramped conditions. In the eyes of the people flattened by the bodies of other passengers, there was no rage, hatred or aggression, but only humility and concentrated tranquillity. Everyone was trying to survive and keep calm, immersed in their inner world, separated from the madness of the crowd with the help of a respirator, headphones, or even a thin skin of semi-covered eyelids. These portraits showcase all the sad life of a metropolis – to be alone in a crowd, remain calm, when the surrounding reality seems madness. It isn’t surprising that Wolf’s portraits won numerous awards and have been successfully showcased in exhibitions worldwide. 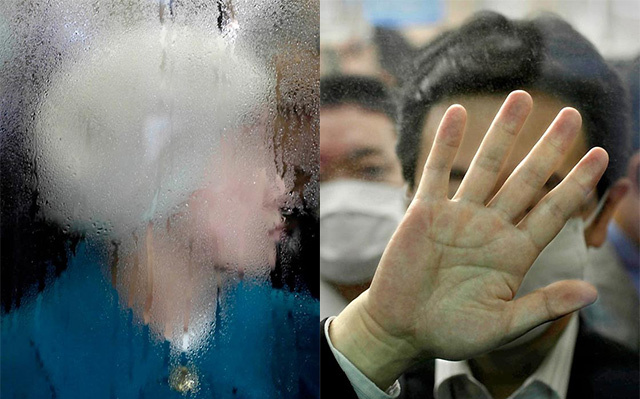 The Tokyo Compression series strikes a chord with residents of Tokyo. Here, Wolf is not just a photographer, but also a shrewd psychologist who studies the mental state of any modern city and its inhabitants. These portraits, as if in a mirror, reflects our own fears: claustrophobia, horror before crowd, frightening loneliness, and at the same time – humble submission to daily life. The descent into the hell of underground compression is the bustle of the working day, and another descent into the subway on the way home, where a short break awaits. And the next day, everything is repeated again. The relentless Samsara wheel makes another turn. This one is good. People say photojournalist is dead. everyone can take photo with their cellphone. but photo like these still remind me of how amazing a photojournalist can be. and it is a skill not everyone with a cellphone can acquired.